Since the weather was actually tolerable yesterday I took a nice long walk along the waterfront. 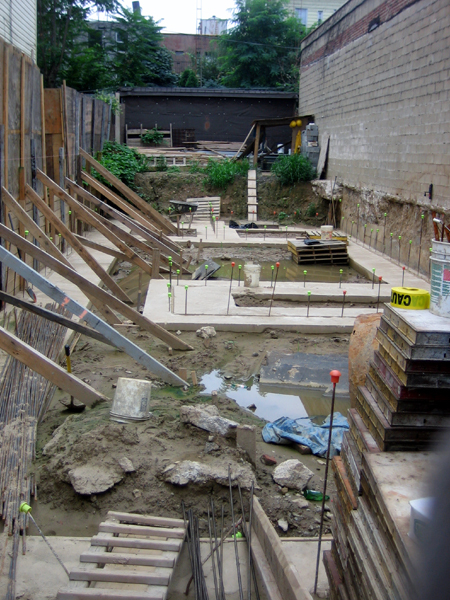 When I reached the end of Green Street I beheld one of the many (seemingly) abandoned construction sites that pepper my part of the Garden Spot. What is that I see to the bottom left? Could it be??? Yes, yes it is!!! 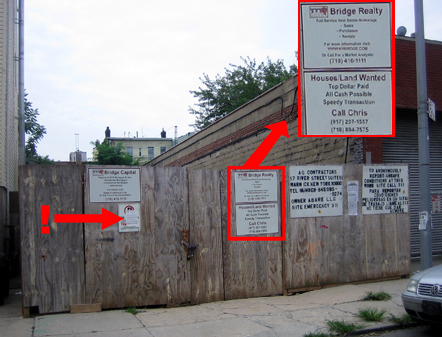 Although it is unintelligible in the above photo, a handwritten missive ordering the fine folks at Bridge Realty to pump the excess water out of their construction site is scribbled on this ancient Stop Work Order. Now that I think about it, I do remember seeing some dudes pumping water out of this site a few months ago. Looks like they need to come back and do it again. 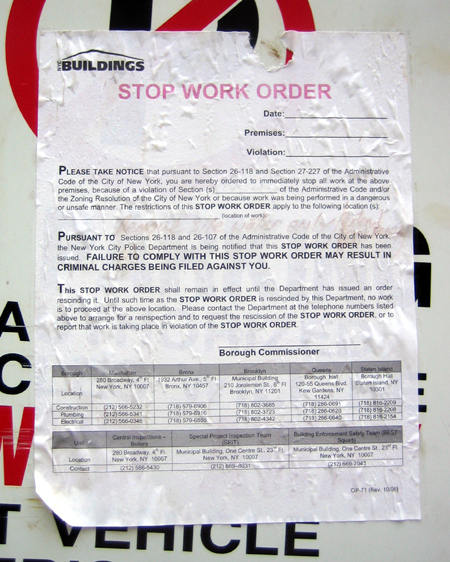 Perhaps the Stop Work Order issued last month has discouraged them from doing so? I fail to see why; they seem perfectly amenable to doing work without a permit. P.S. 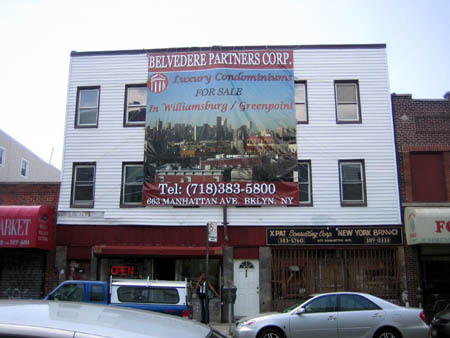 : For those of you who are keeping track; Greenpoint’s favorite piece of advertecture is still alive and kicking at 609 Manhattan Avenue.